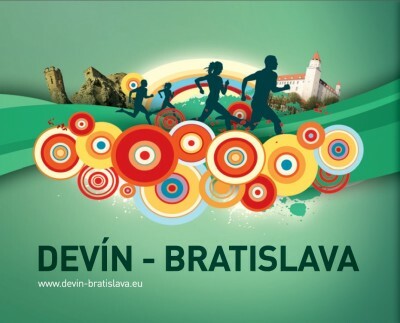 It’s important to do something good for your body from time to time, and there’s no reason to stop your exercise when in Bratislava, since the city offers so many sporting opportunities. Thus, it is an excellent idea to start your sunny weekend by putting on your trainers and enjoying a little run. You can find some tracks bellow. This is a moderately difficult running track for hobby as well as for professional runners with total length – 10 000 meters. The track is mostly flat with a minimum incline of 15 meters when running up the footbridges of Lafranconi and Apollo bridges. Changes of direction along the track are indicated by arrows and running distance is marked by duplex kilometre boards. The dominant of the track leading through the city are the historical centre scenery and Bratislava Castle, whereas Petržalka part leads through Pečniansky forest and along Janko Kráľ Orchard, which is the oldest public park in Central Europe. This easy cross country track fits mostly hobby runners. It leads along the lake and forest terrain without any significant incline, mostly on forest and asphalt bicycle paths. Changes of direction along the track are indicated by arrows and running distance is marked by duplex kilometer boards. The lap is an appropriate alternative for sport activities within a housing development. These easy cross country tracks leading along the lakes and forest paths without any significant incline are fitting mostly hobby runners. The tracks are mostly on forest paths. The section along Big Draždiak is on asphalt bicycle path. Changes of direction along the track are indicated by arrows and running distance is marked by duplex kilometer boards. Both laps are an appropriate alternative for sport activities within a housing development. This easy track on an asphalt path through the oldest public park in Central Europe – the Janko Kráľ Orchard, is suitable for beginners and for interval training. The whole Janko Kráľ Orchard is regularly used by sportsmen throughout the year and it is a pleasant rest area for families with children. Under historical trees you can find ideal conditions for running not only during warm summer months, the park offers also nice surroundings for sports throughout the year. Except running it is suitable also for other additional running activities such as stretching, running alphabet or any fitness exercises. Bežecké podujatie, ktoré sa tento rok uskutoční dňa 9. 4., je ako stvorené pre všetky vekové a výkonnostné kategórie. Podujatie sa hrdí medzinárodnou účasťou a tradične sa ho zúčastňuje cez dvetisíc bežcov. Štart behu je na historicky pamätnom mieste – pod Hradom Devín. Cieľ a slávnostné vyhlasovanie výsledkov sa uskutočňuje v centre Bratislavy. Wings for Life World Run: Running for those who can’t. It all started with a simple but intriguing idea on a layover at Moscow airport: What if you could get the whole world running? Everyone, worldwide, on the same day, at the same time. A race of epic proportions with just one lone runner left at the end. A world run. But could it be done? It could. Meet Anita Gerhardter, CEO of Wings for Life, a charity whose mission is to make spinal cord injury curable. Two years of planning later, the Wings for Life World Run saw the light of day – but not before adding a little twist. The Catcher Cars, vehicles equipped with sensors, introduced to literally catch the runners not running towards a finish line but away from the finish line that chased them. May 20th 2017. Competitors will be running in the categories Ladies relay, Hobby relay, Children relay and Royal relay. 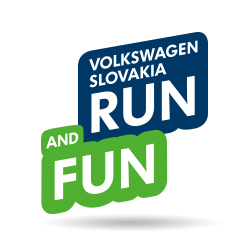 Running event for all those who cannot even imagine New Year’s Eve without sport. The route passes through all Bratislava bridges and along the Danube embankment. It is already 28th year, so do not miss it either as runners or just as spectators.